Michael is a proud Marine, having served as a sergeant with 1st Combat Engineer Battalion based out of Camp Pendleton, California. He left the Marine Corps in 2015, enrolled at Saddleback College in Mission Viejo, CA and then transferred to Brown University in 2016 (Class of 2020). At Brown, Michael is pursuing a degree in Environmental Studies with supporting coursework in the field of Business, Entrepreneurship, and Organization (BEO). 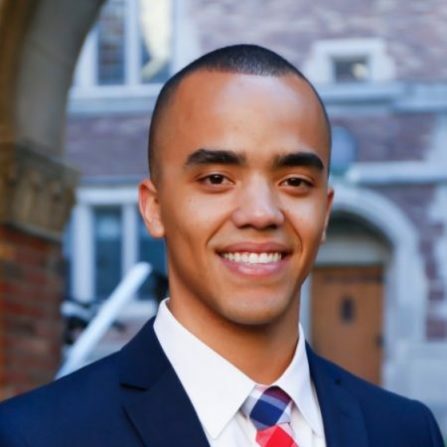 He is active in Veterans issues, particularly related to Veterans in higher learning and is an alum of the Warrior Scholar Project (Yale, 2016), a former fellow with Veterans in Global Leadership, and Brown University&#039;s chapter representative to the Ivy League Veterans Council (ILVC). Michael feels a strong obligation to pass on his knowledge of navigating the application process of highly selective schools and helping Veterans earn admittance to the best school possible.